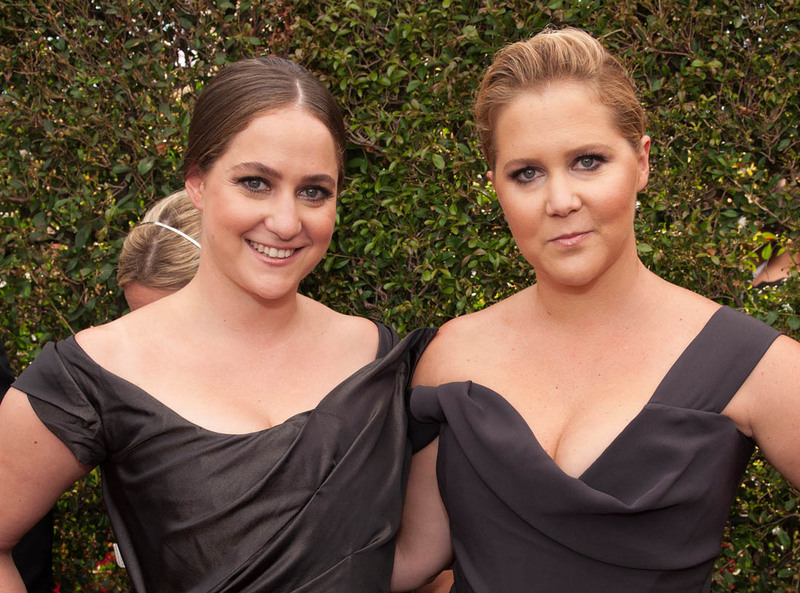 So a lot of people are talking about Amy Schumer and her sister Kim looking like twins on the Emmy red carpet. The rolled-necks of their black dresses do look very similar, they’re both Vivienne Westwood, and even the hair looked the same. I saw the whisper that this was supposed to be some subversive comment about the red carpet, but if that’s what this was, they could have gone a lot further with the whole joke, like actual matching dresses. 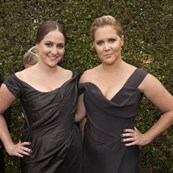 To me these look a lot like what Amy has worn before, style-wise, and it stands that she and her sister might have similar tastes. 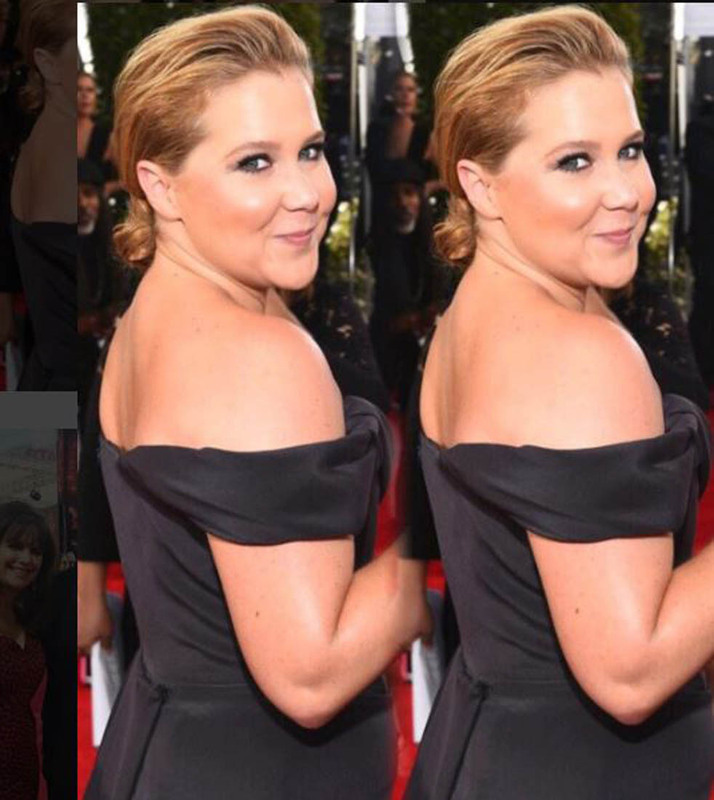 If Girl With The Lower Back Tattoo taught me anything, it’s that Amy Schumer loves her sister to distraction and it’s pretty mutual—it’s not a stretch they might like the same stuff. But you know what? 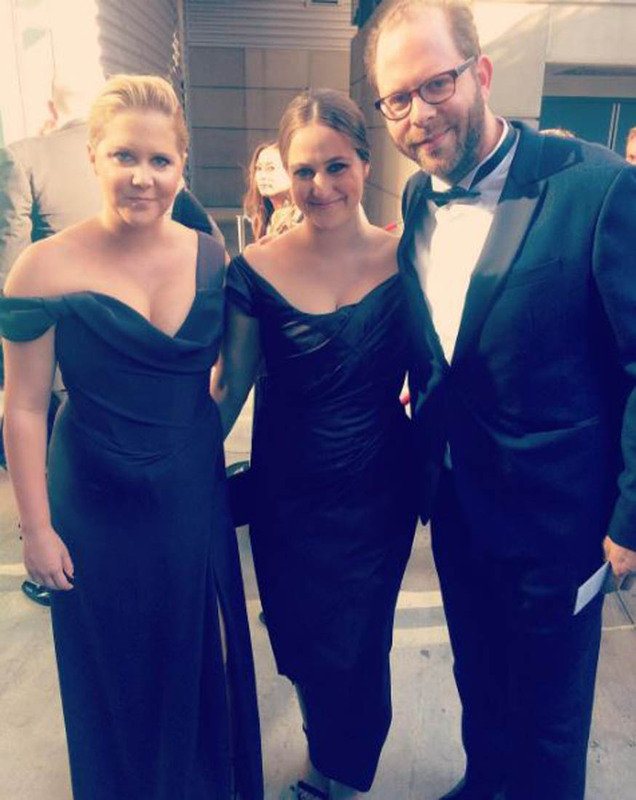 When everyone’s talking about Schumer & Sister wearing matching dresses and giggling over the scandalousness of her saying she’s sporting “an OB tampon” while Giuliana has an aneurysm, you know what they’re not talking about? Despite evidence to the contrary, I’m not anti-Schumer. I think we all like each other better once we see each other’s flaws as well as strengths, and she has strengths, and will happily do ‘bits’ in the front row while other actors just glare. All I’m saying is that she’s not an idiot. If you want to change the conversation, give them something to talk about. 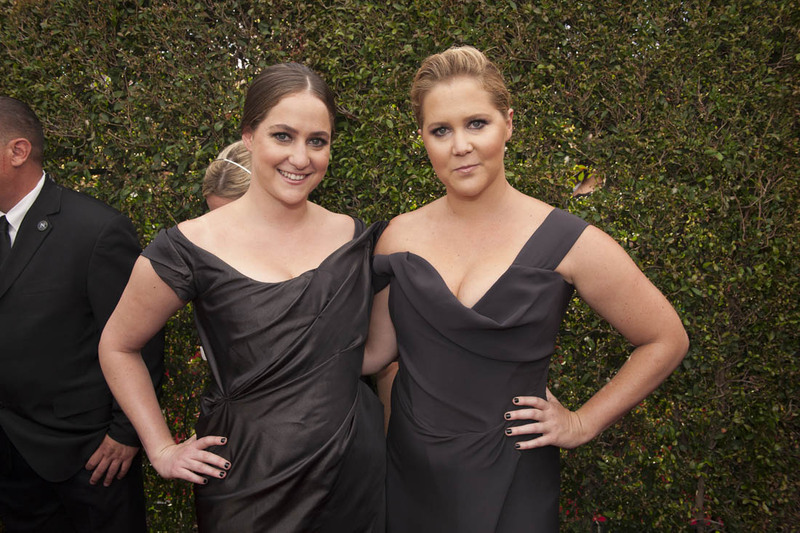 The fact that there will be news outlets today that will publish the word ‘tampon’ for the first time, right under the Schumer sister’s faces? That’s making some seriously on-brand lemonade.